Reflections and Ruminations: “I am spiritual but I am not religious!” This is as good as saying that you are only spirit but are not bodily. “I am spiritual but I am not religious!” This is as good as saying that you are only spirit but are not bodily. We live in an age where many people seem to have a disdain for organized religion and are vociferous about it. 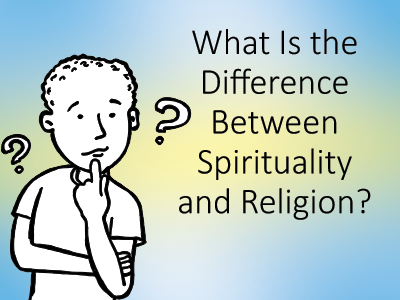 Not just in the Catholic Church, but many who are of other religious affiliations have a common lament that they too have noticed that their devotees have been heard saying that they are spiritual but not religious. When I hear such statements, my response is often to ask them if they are human beings as a result of just inhabiting a body, or if they are their bodies. This was something I picked up while reading something which one of my professors in the Dominican House of Studies, Fr Thomas Joseph White, wrote). 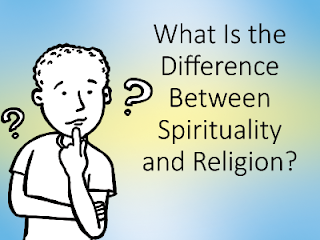 When their answer is that they are their bodies (which I certainly hope they are), then religion is actually being spiritual in bodily form because worship of God is done through very physical actions like standing, bowing, kneeling, as well as by making sacrifices, making vows and giving alms. If one says one is only spiritual, by extension, it could well mean that one’s moral convictions and one’s quest for anything that speaks of virtue is not going to take any concrete or bodily form. If at all, it is only going to remain on the level of concept and ideal, not as a lived reality. Our physical presence is very much required at a gathered community of believers (e.g. in a church assembly) because we belong to a community and a body of Christ. To remove ourselves from it out of self-centered reasons has many implications, the chief of which is that we are depriving the body of Christ from our presence, our faith and our prayer. We are essentially saying to the gathered community – “you will not be getting the goodness of my presence and prayer this Sunday”. The Catholic tradition has always taught that it is mandatory to worship in community in church every Sunday, and that it is a very serious sin to not do so. Understood only on a superficial level, it simply seems to be a pedantic rule that the church is burdening its followers with. But there is a much deeper significance. It is a serious sin to weaken the body of Christ willfully either by choice or by scandal, and one person’s absence truly does make a difference. The results from the referendum on the United Kingdom’s membership of the European Union which came out last week stunned the whole world, and there were many stories which emerged that revealed how individuals who voted “out” actually regretted their vote and if given the chance again, would now vote “in”, and their common lament was that they thought that their vote, their singular vote, would not make a difference. It did. And so does each individual’s presence at Mass each Sunday. God may not need your presence at church. He is God, after all, and so technically, he doesn’t need anything. But the body of Christ, made up of each individual baptized person does. We either become enriched or impoverished by your presence or your absence. If you are spiritual, and are serious about this, it has to result in right religion. We are not just animals. We are rational animals, and indeed, we live this out rationally as beings that are made for God.